We are very excited to announce our newest model in a convertible dining pool table line 'DECOTECH'! This model will deconstruct your past perception of a massive and OLD-SCHOOL billiard table design and will bring you into the future. 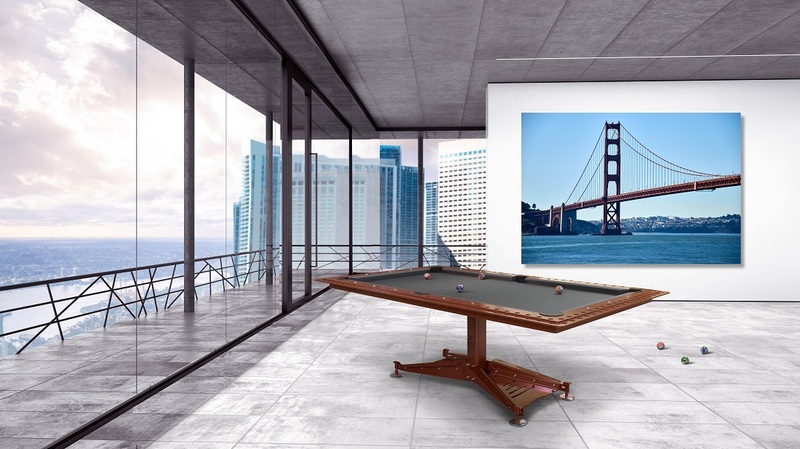 The modern industrial style of this convertible dining/office pool table hides the billiard table conforming to the highest game standards. All steel, latest CNC technology precisely cut, frame, highest grade Brasilian slate, professional grade top of the line Klematch billiard cushions offer precise and exceptional playability that is fit for the most demanding players. 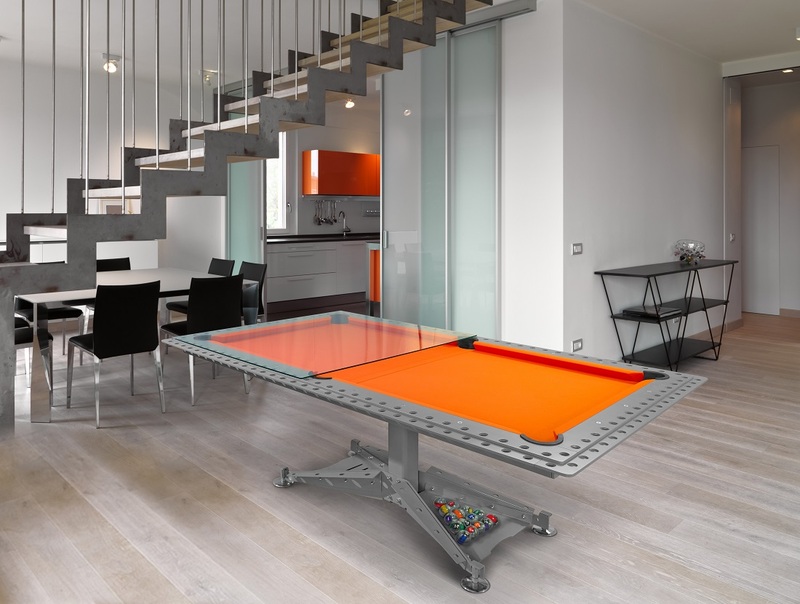 Customize 'Decotech' ultra-modern industrial billiard table to fit your personal preferences. 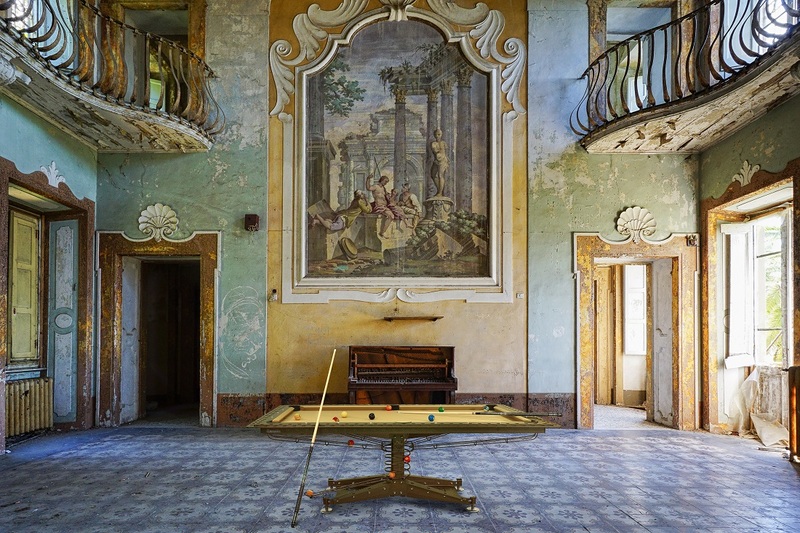 There are more than 200 exquisite RAL colors for the billiard table’s finish and more than 40 Simonis Cloth and Championship Cloth colors available to choose from. 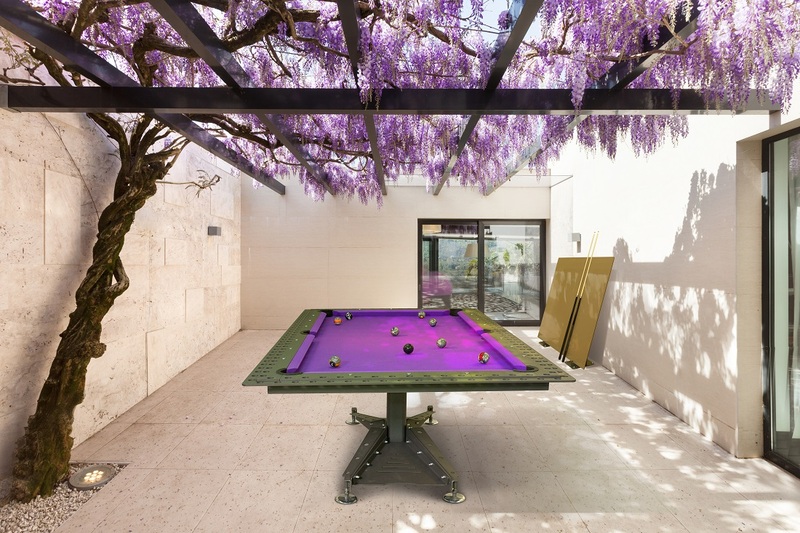 Match your custom pool table to harmonize with the rest of your home interior or go all in and cover it in 24K gold to make a statement that you have something truly special!